Fibromyalgia (FM) is a condition known for widespread pain throughout the body. It is usually accompanied by problems getting a good night’s sleep, extreme fatigue, and emotional and mental ups and downs. People with fibromyalgia are naturally more prone to being sensitive to pain than those that do not suffer from the condition. This is referred to as abnormal pain perception processing, and researchers believe the painful sensations in the brain are amplified in people with FM. It is estimated that around 5 million adults in the USA have been diagnosed with fibromyalgia. Women are more likely to develop fibromyalgia than men. If you have been diagnosed with fibromyalgia, you may have additional health problems like tension headaches, TMD (temporomandibular joint disorders), anxiety and/or depression, and IBS (irritable bowel syndrome). 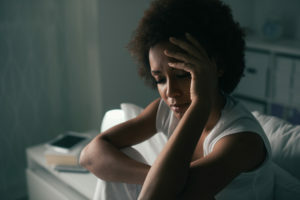 While no one understands what causes fibromyalgia, it has been seen to come about following a traumatic event, such as surgery, physical injury, infections, or even psychological stress. It is likely there are a lot of other factors at play in the development of FM. Widespread pain: FM pain is described as a consistent, dull ache similar to the flu. It has to present for at least 3 months to get a diagnosis. It also must occur on both sides of your body and above and below the waist. Cognitive problems: Often referred to as fibro fog, your ability to focus is impaired. You find it hard to pay attention and concentrate, especially on mental tasks. Extreme exhaustion: FM patients often wake up feeling just as tired as they did when they went to sleep even if they have felt like they slept well. Sometimes their sleep is interrupted by the pain of the condition. Or they have other sleep disorders, such as sleep apnea and restless leg syndrome. Who is at Risk to Get Fibromyalgia? Your gender: Women get FM more often than men. Other illnesses: If you suffer from osteoarthritis, lupus, or rheumatoid arthritis, you are at a higher risk for getting FM. Genetics: If you have a relative with the condition, you are more likely to develop it. Age: It can occur at any age, but it is most likely seen in people that are middle age and older. Lower life quality. Women with FM are 40 percent less active and have 67 percent more mental health issues than those without. More hospitalizations. You are twice as likely to be hospitalized if you have FM than those without. Higher incidence of rheumatoid conditions. FM often co-exists with arthritis conditions, such as osteoarthritis, system lupus erythematosus, ankylosing spondylitis, and rheumatoid arthritis. More depression. Adults with FM are 3 times more likely to get a major depressive disorder than those without. It is important to be screened for this if you have FM. More deaths from injuries and suicide. More people with FM die from suicide or general injuries than any other cause. What Can You Personally Do to Help Fibromyalgia? Being physically active is very important. It may sound nearly impossible to do anything physical while you are in pain, but adults that get at least 150 minutes of moderate physical exercise per week see a huge improvement in their FM symptoms. Some suggestions are to walk, swim, or bike ride for 30 minutes a day, five days a week. If this seems overwhelming, consider breaking it up into 3 separate 10-minute sessions. Regular exercise also reduces the risk of other serious conditions such as heart disease and diabetes. Another important thing to do is make an appointment to visit us here at The Apple Valley Clinic of Chiropractic in Hendersonville, North Carolina. 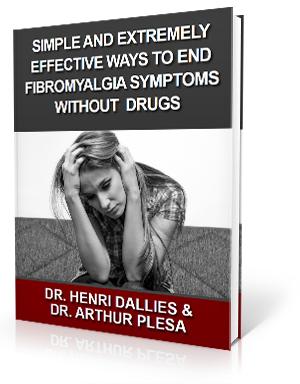 Let’s look at how we can help you cope with fibromyalgia. An interesting connection has been made regarding fibromyalgia and a misalignment in the C1 (atlas) and C2 (axis) vertebrae. The atlas and axis have the vital job of protecting the brainstem from injury, keeping it performing at its best. However, if they become misaligned due to an accident, such as whiplash or any trauma to the head and neck, they can move out of place. This actually harms the brainstem and hinders it from sending proper signals to the brain. This may be why the brain perceives pain in the body when there is actually very little or no pain. We use a gentle method that differs from traditional chiropractic in that we do not have to resort to cracking the neck or popping the spine in order to get positive results. Rather, we use a method that is more relaxed and allows the bones to move back into place more naturally. This leads to a longer-lasting adjustment and, eventually, fewer trips to our office as your body begins to heal itself from the damage done. Numerous case studies and reports from our own patients affirm that this is a great way to find relief from the pain of fibromyalgia.